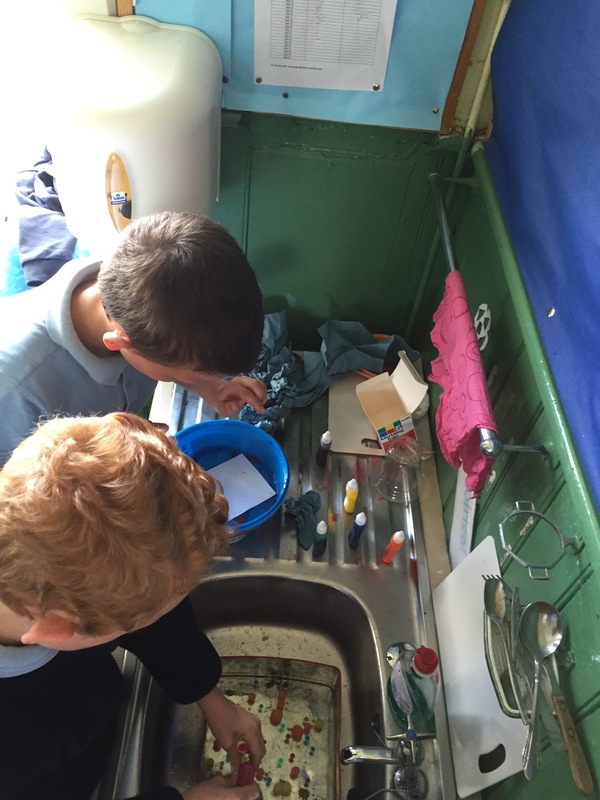 The infants were hard at work again yesterday, creating a wonderful pond in the classroom. The beautiful pond is full of swans, frogs and fish! 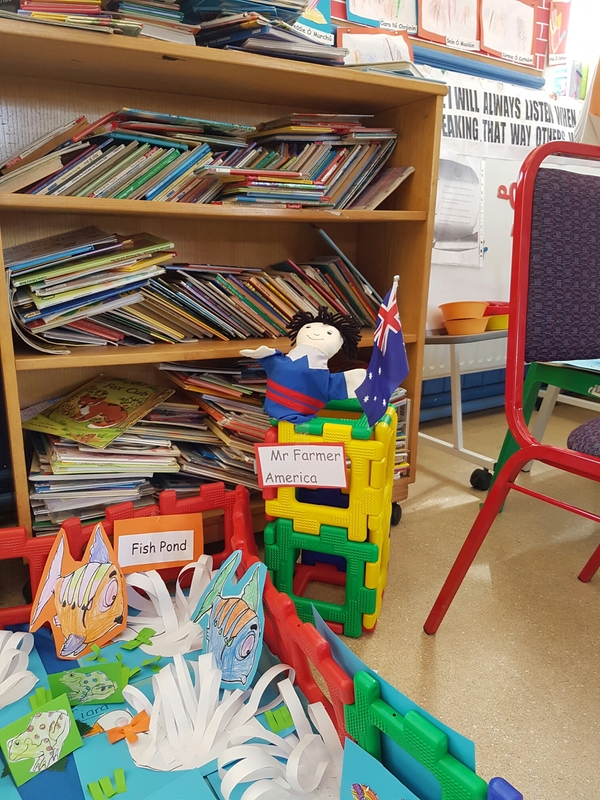 The children also made two farmers to keep an eye on the pond. Farmer Tom and the American farmer are there to watch over the beautiful creatures in the pond! 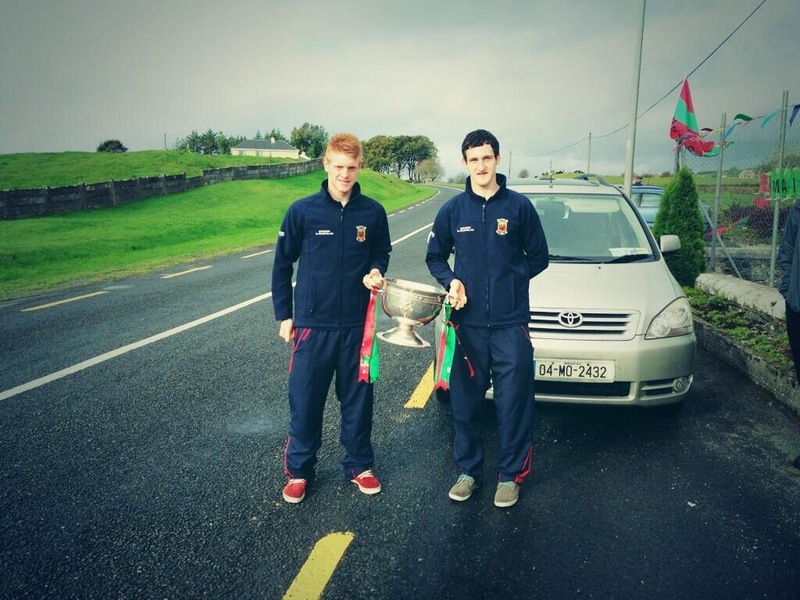 Best Wishes To Matty Flanagan in U21 All Ireland Final! 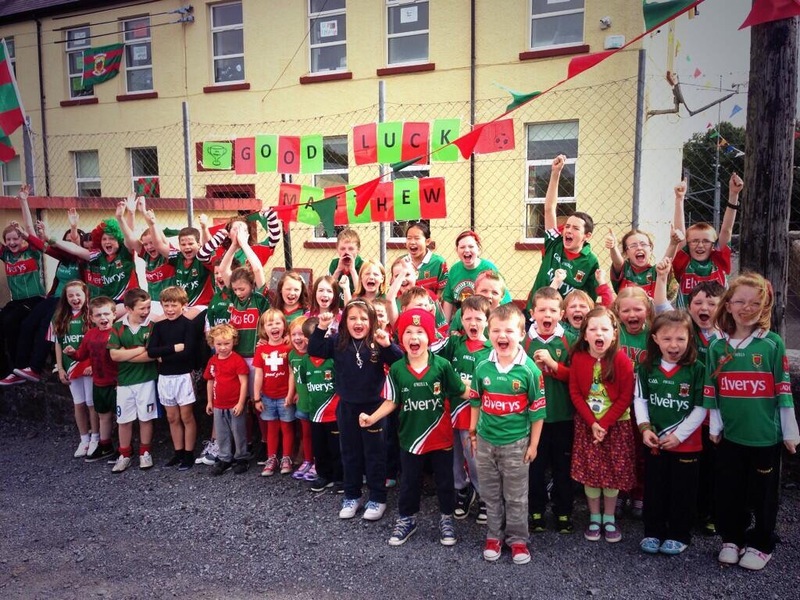 The Flanagans bring the colour to Ballyclogher! 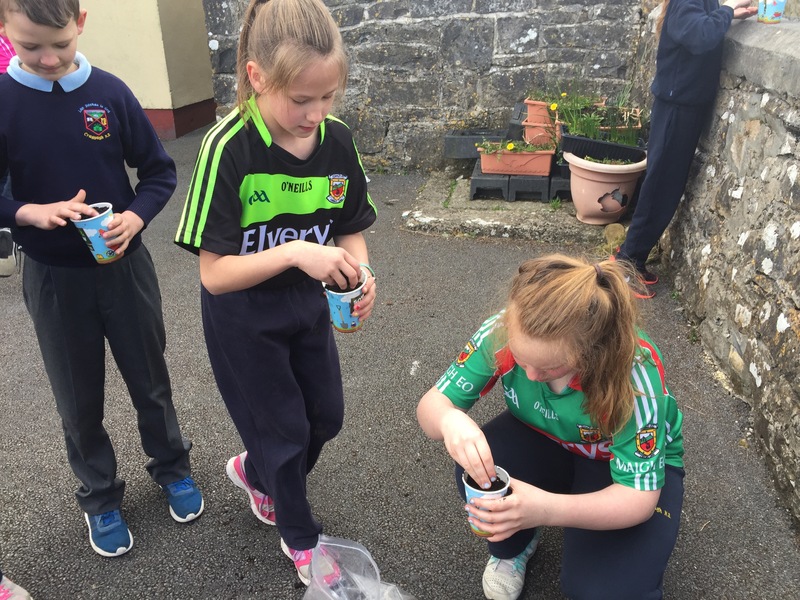 Past pupil Matty Flanagan has already represented Mayo with distinction on several occasions, including this year’s FBD League at senior level and being a member of the famous 2013 All Ireland winning panel. However, this weekend, Matty will be Mayo’s last line of defence against the Rebel County in the U21 All Ireland Final in Ennis as the class of 2016 aim to emulate the heroes of 2006. Our U21s have already had some brilliant performances, most notably against the Dubs in the Semi Final, a day that will live long in the memories of those who were there to witness it, or even to those of us who hung on every word and breath of the commentators on Mid-West! 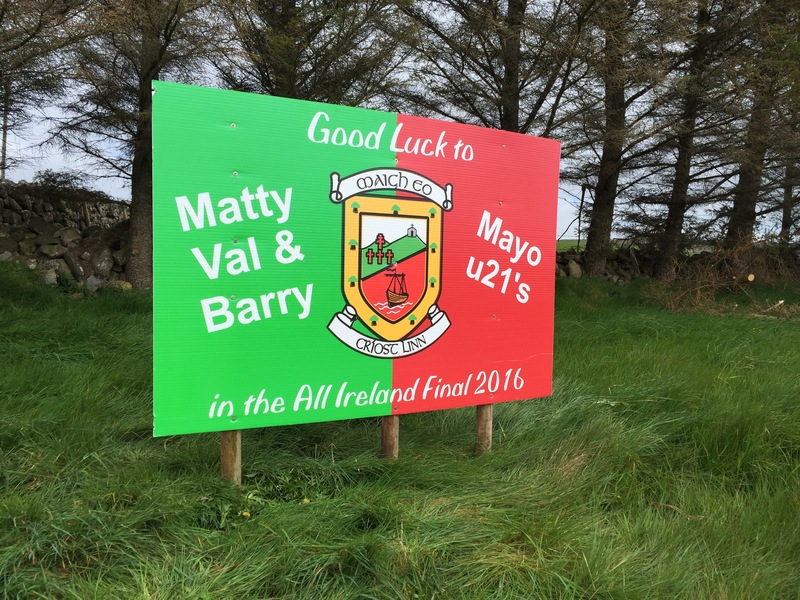 Matty’s Balla clubmates, Val Roughneen and Barry Duffy have been important members of the panel all year as has Kiltimagh’s James Forkan. So lots of local interest then! 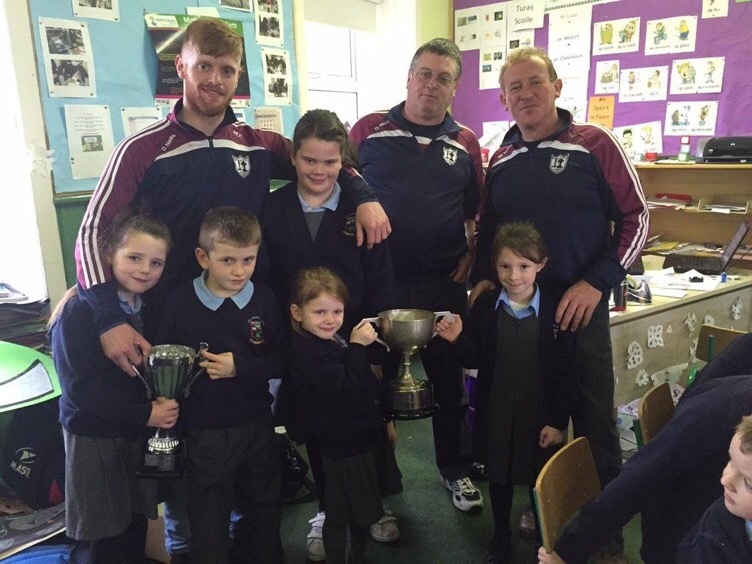 Finally, we have to give a mention to Mrs Duffy’s nephew Michael Plunkett! Wearing 11, but playing mostly as a sweeper, the Ballintubber man scored a famous point against the Rossies to end their dominance over us at this level in recent years. Will Matty be visiting us with another cup next week? Let’s hope so! We are immensely proud of Matty and all he has achieved thus far, but here’s hoping he can add one more accolade to his already impressive collection and that he gets to visit us with another cup next week! 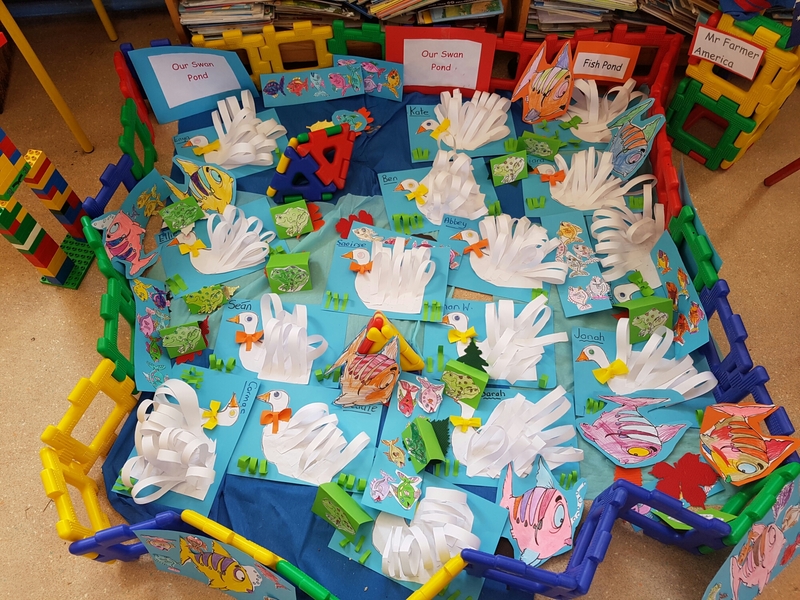 Take a look at the fantastic creative talent in the infant classroom. 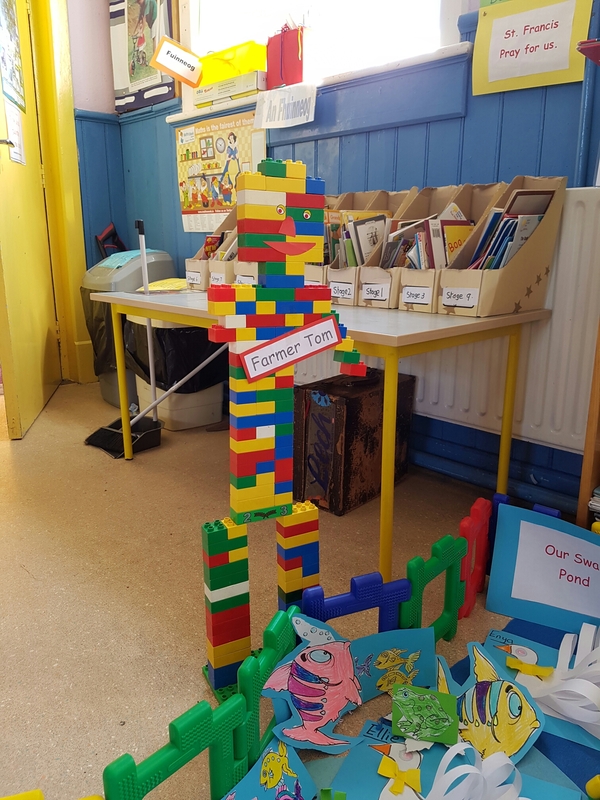 Six boys from Junior and Senior Infants were hard at work today constructing this battleship. They designed and constructed this battleship themselves during lunchtime today. We’re studying the geology of our beautiful planet these days, learning about Earth’s Crust, Mantle, Inner Core and Outer Core. We are also learning about the three main types of rocks; Igneous, Sedimentary and Metamorphic. So far, we have identified Igneous rocks in out kitchens, Sedimentary on our house walls and Metamorphic on our roofs! Our continents have changed dramatically over the billions of years, so much so that Ireland used to be down near to were Spain currently is. Bet there weren’t hailstones in April then!!! All of our continents were squashed together into one super continent called Pangea. Here’s a handy video showing continental drift. Keep an eye out for Ireland, also, watch out for India which does some serious moving! A busy day in the senior room! 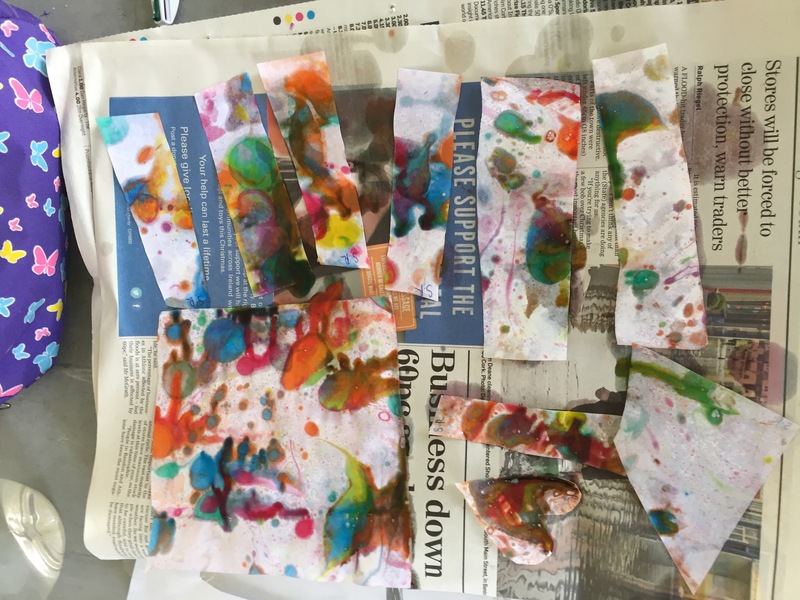 Today we used marbling inks and water to create some beautiful patterns. 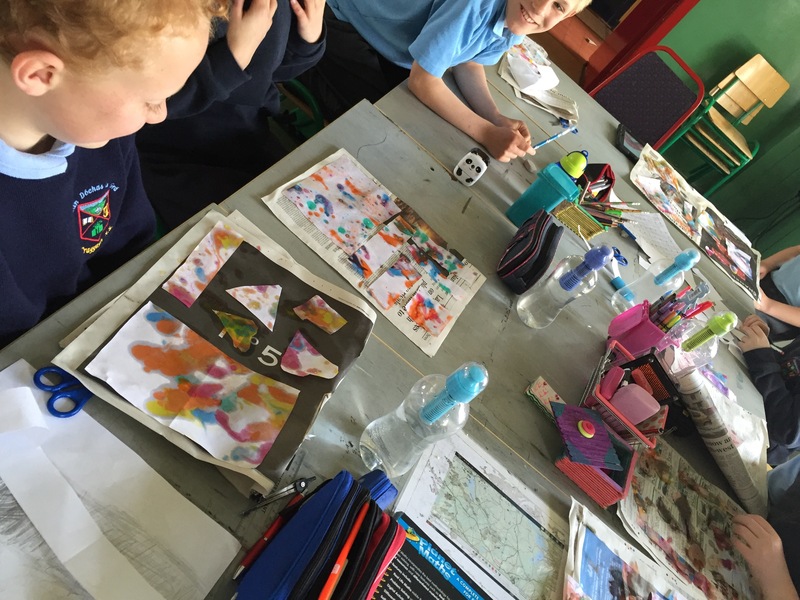 We each placed a few drops of ink on the surface of some water and transferred the colours onto our paper. We will use these strips of paper to make decorative and unique bookmarks or photo frames. 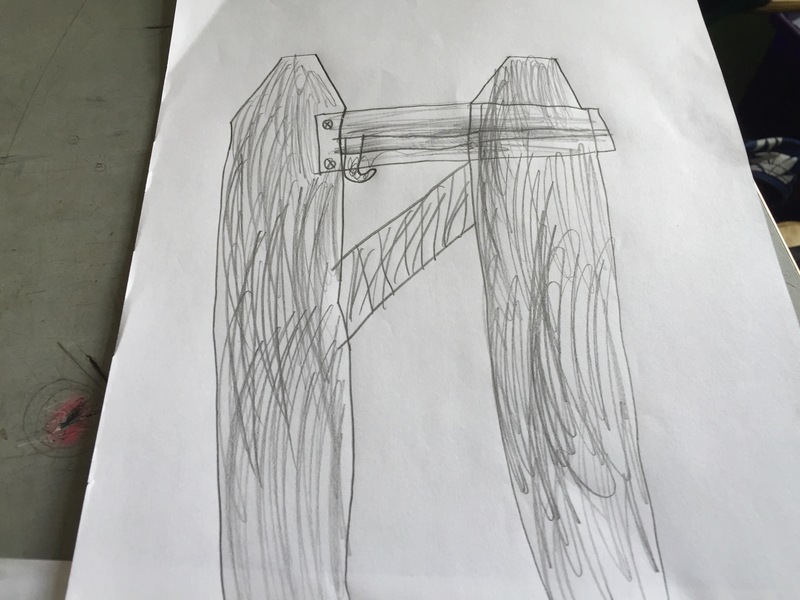 With the bits of paper we had left, we made viewfinders to help with our drawing. 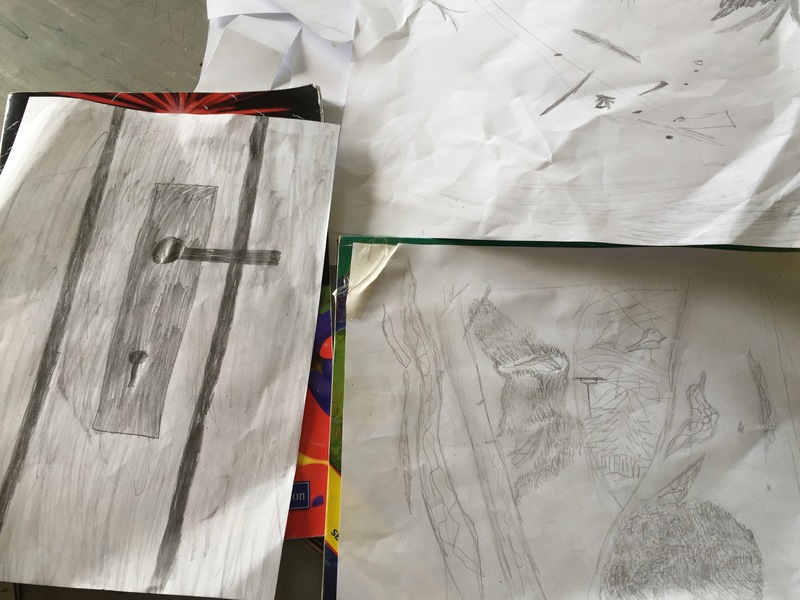 Over the past few weeks we’ve been working on using our pencils to create light and shade, creating thin and thick lines. Finally, our seeds are doing really well! We sampled some of our greenery today! 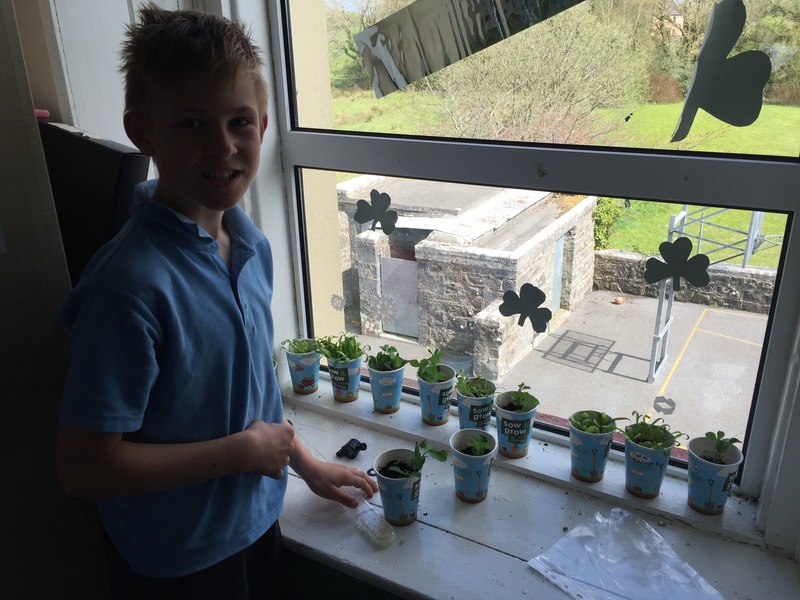 The peas and spinach were an absolute hit, but the cress received a mixed reaction! 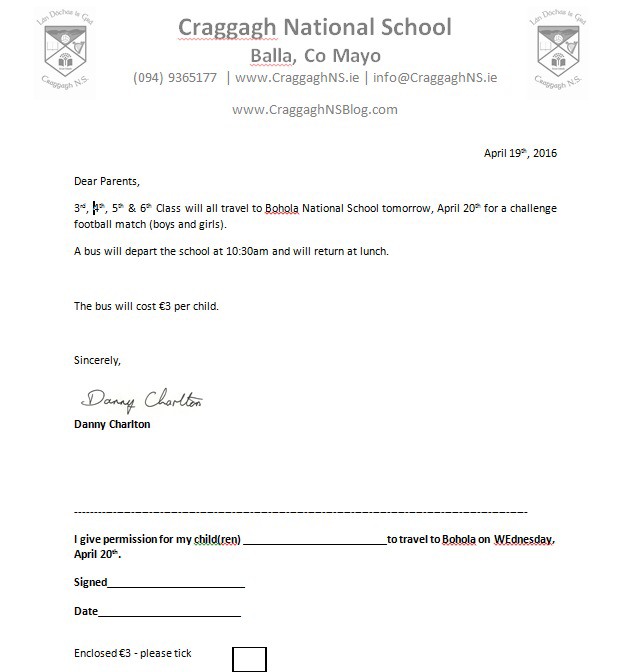 Letter re tomorrow’s trip to Bohola. Apologies, our printer is currently out of order so this is the best way I could get this letter out to you! 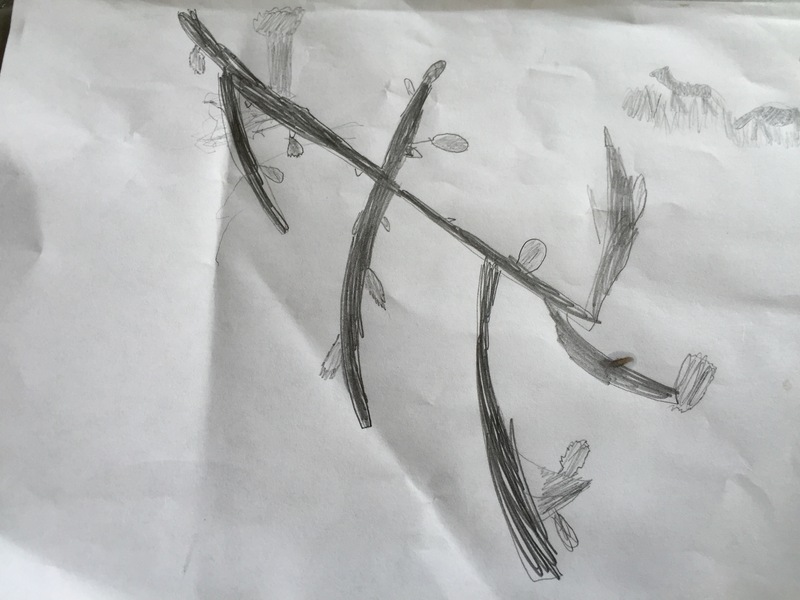 It is not necessary to print the permission slip. 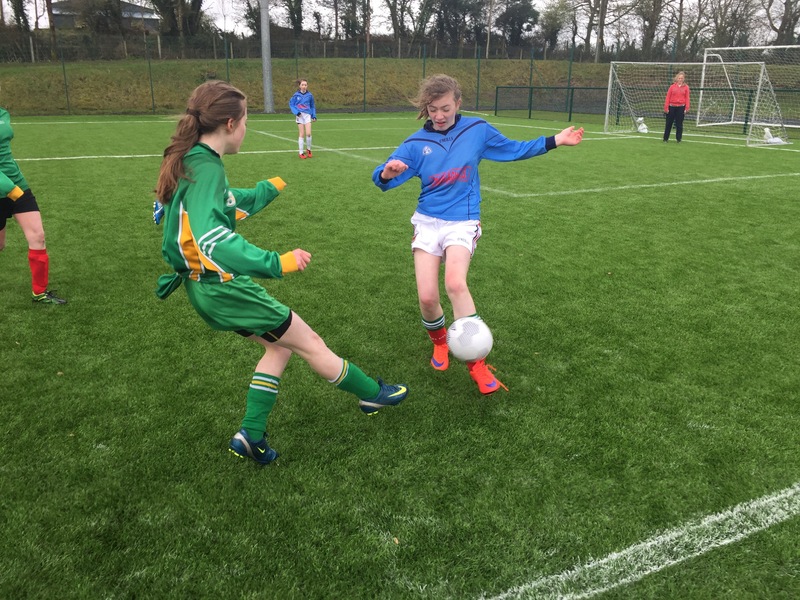 It was a cold, blustery and wet day in Milebush but that didn’t deter the girls from Craggagh NS who set about their task today with great skill and determination. 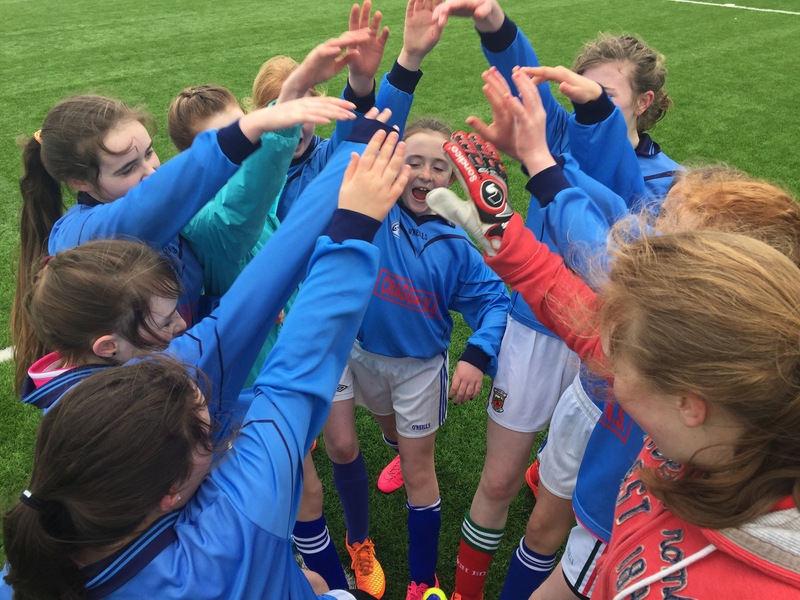 We began our day with wins over Roundfort NS and Kilkelly NS (3-2 & 6-0) to top our group and progress to the quarter finals. We then faced an excellent Gortjordan team, but the girls put in a sterling performance to emerge as 3-0 victors. 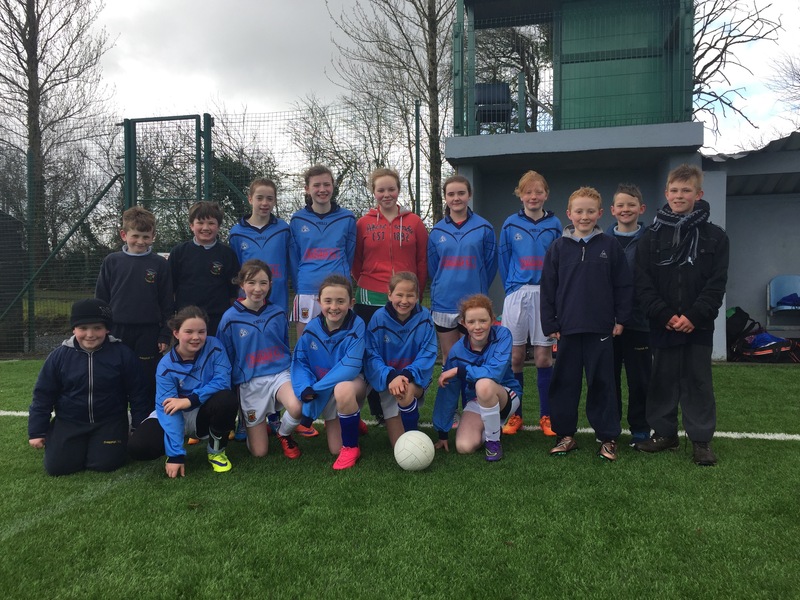 Our semi final saw us pitted against neighbours Bohola NS and he girls faced some of their Kiltimagj/Knock Utd teammates. In a thrilling game, Bohola ran out eventual winners on a score line of 5-2. 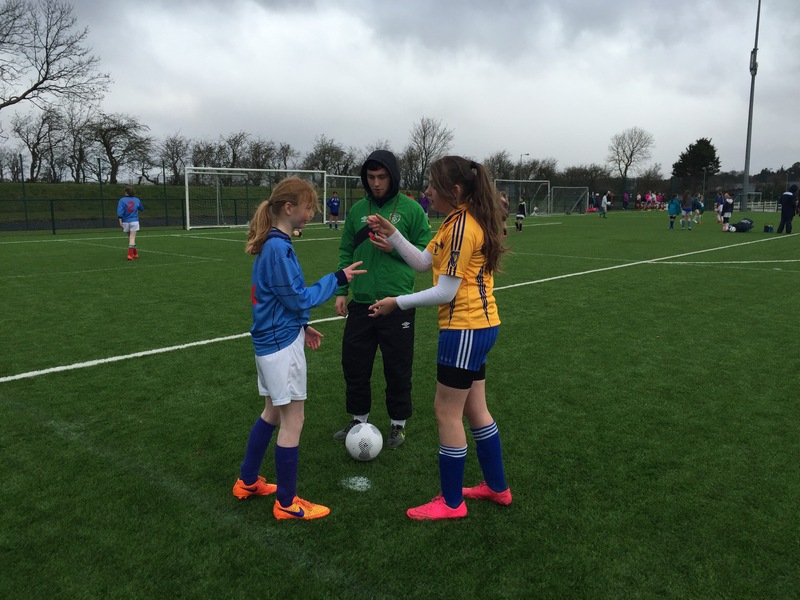 Through the day the girls from Craggagh played fantastically well. Cara C was a steady presence throughout in goals and distributed well, while our defence was rock solid with Lily, Laura and Sarah giving very little space to the opposition. Anna was the outstanding player around the middle and caught the eye of many supporters. 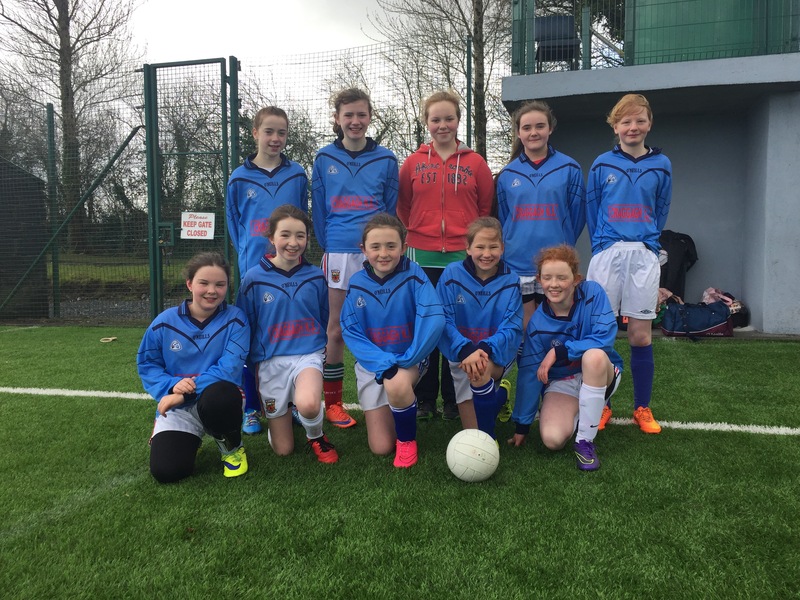 Amy and Alannah led the line brilliantly throughout and had some great assistance from Ciara and Cara H.
Our goals were scored by Anna, Alannah, Amy, Ciara and Lily. Special mention has to go to our brilliant supporters who came along for the day. Thanks boys! Congratulations girls on a superb performance! Standardised Testing across the school will also take place this week 24th to 27th. The calendar will continue to be updated throughout the term with other activities, field trips, football matches etc. 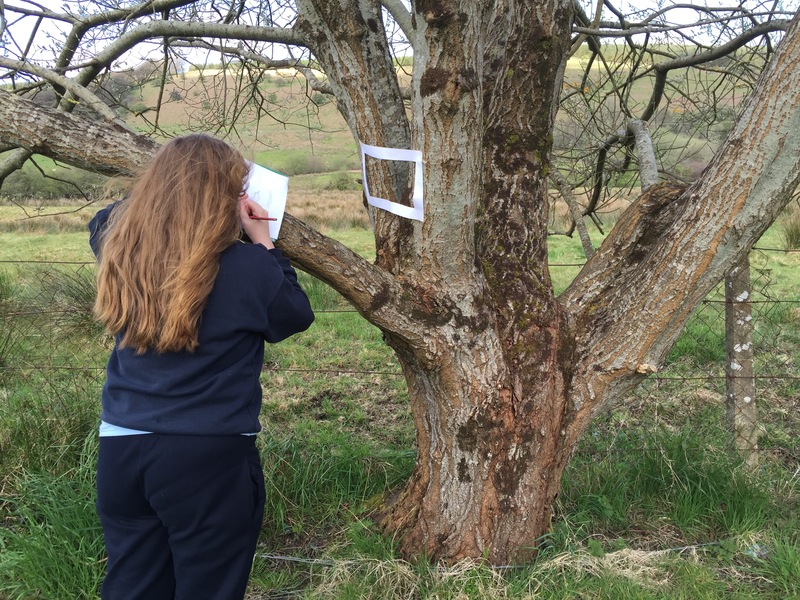 Following our lesson on the Céide Fields, click on the link below to read about the Archaeological Survey undertaken during the construction of the Charlestown Bypass. 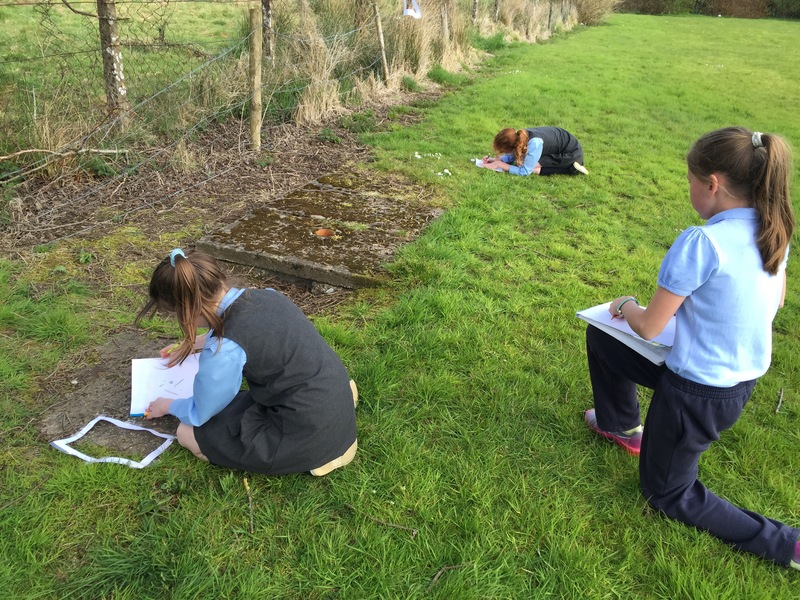 We returned to school this week with an extra hour of daylight, a bit of warmth in the air and a definite feeling that spring had finally sprung! 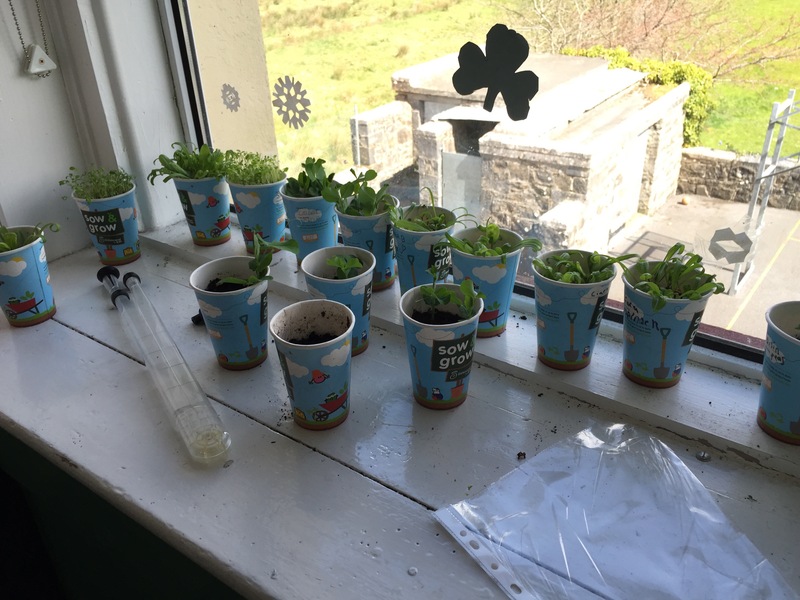 So we were especially delighted to receive our “Sow & Grow” kit from Innocent Ireland and GIY. The pack contained a bag of organic compost, a bunch of paper cups and 3 packets of organic seeds including spinach, peas and cress. 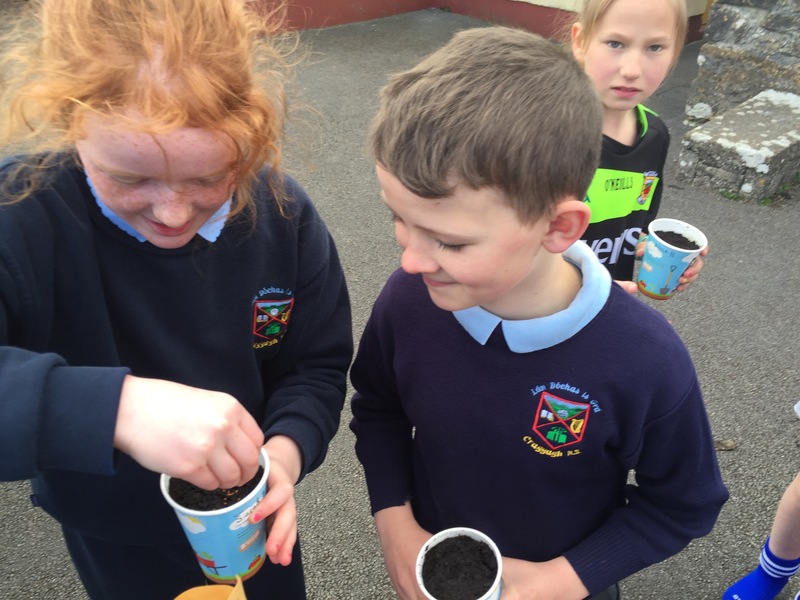 We immediately got busy, with a big majority of the children choosing peas and only two opting for cress! 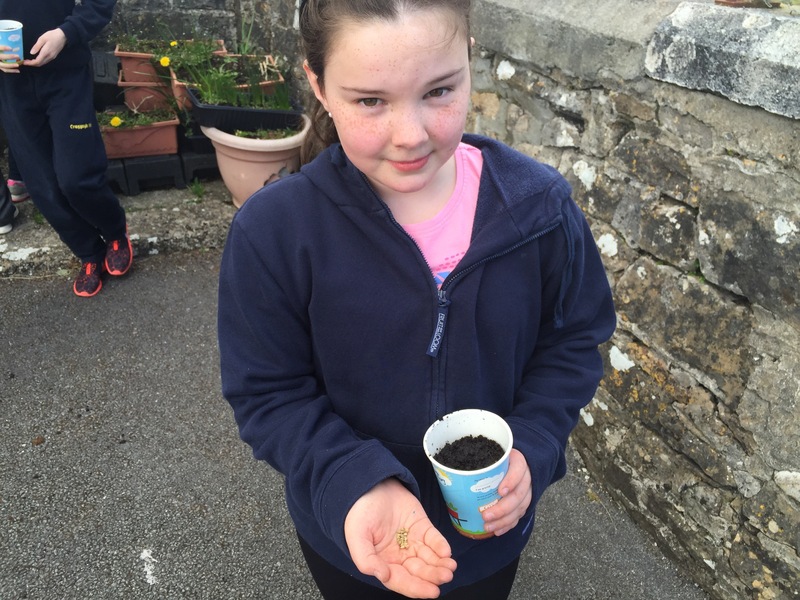 We’ll monitor the progress of our seeds over the coming days and weeks and post results here. Which will be first to break ground? Peas, spinach or cress? Stay tuned!